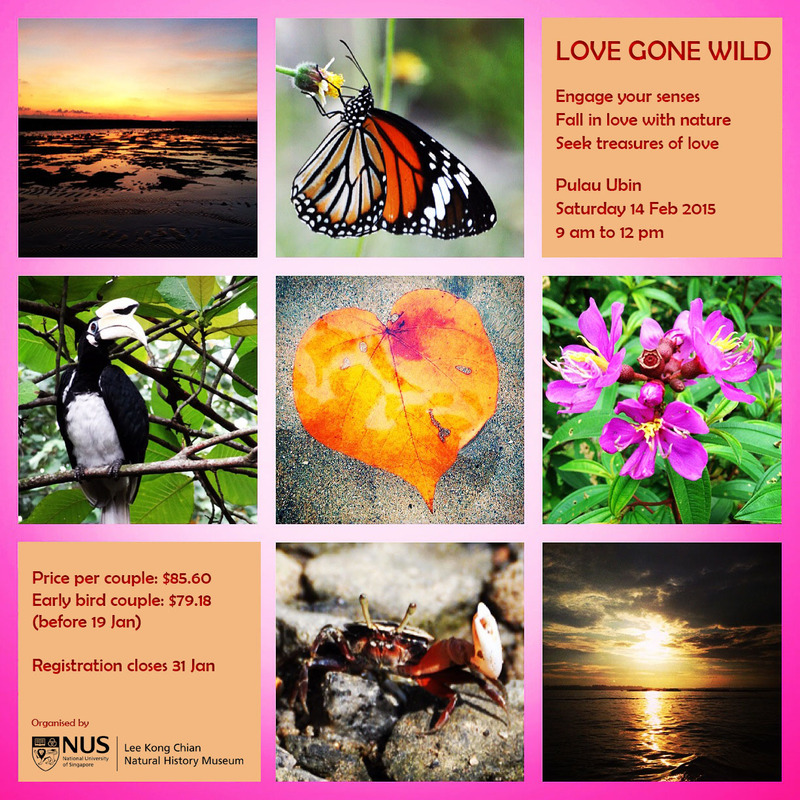 Romance your special someone amidst the lush tropical vegetation and the scenic, rustic charms of Pulau Ubin this Valentine’s Day! Fun-filled activities including a romance-themed scavenger hunt and stand a chance to win exclusive prizes! Each couple will walk away with a special goodie bag (worth $25 including unique museum products) and a photo to remember this special day by! Wish to participate but not (yet) part of a couple? Feel free to join us with a friend! Register by 19 Jan 2015 to receive the early bird deal! Registration closes on 31 Jan 2015. * Prices are inclusive of GST and the cost of a one-way boat ride from Changi Point Ferry Terminal to Pulau Ubin.